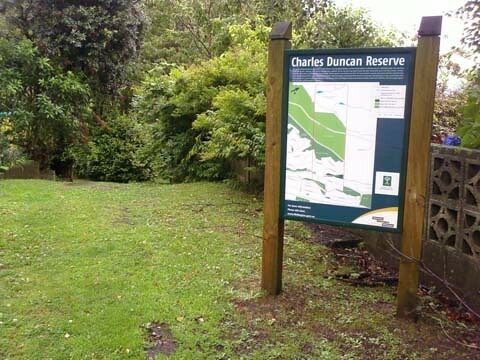 The Tawa Historical Society can provide the historical information on this reserve, which has recently been opened to the public with a short loop track. The entrance is beside 2B Fyvie Avenue in Tawa and is easy to miss. There are some good views over Tawa from the far end of the loop walk. The entrance is beside 2B Fyvie Avenue, which is near the intersection with Main Road.